In the meantime, World Peace, who played in Italy and China the past two seasons and last played for the Knicks in the NBA, continues to work out at the Lakers practice facility, thinking about his future. He declined to name other possible teams he may play for. Q. Goran Dragic will need to justify his $85 million contract. — Aura. A: You know, sort of like those questions a year ago about whether Chris Bosh would justify his $118 million contract? While salary figures matter in a salary-cap league, market dynamics do not always equate to productivity expectations. Bosh got his deal a year ago because the Heat had to act quickly and decisively in the wake of LeBron James‘ free-agency defection. And relative to his performance, he well could stand as overpaid, although the new television money should add perspective. As for Dragic, he actually could have forced the Heat’s hand for far more. So an argument could be made that the Heat already have realized value on his contract. Just wait until you see what equivalent players get under the new cap. What Dragic has to be is a point guard who meshes with this team, just as Bosh has to do at his position. In fact, what really has to happen is Bosh-Dragic has to become special in the pick-and-roll. That could make the financial math with their deals even more palatable..
By the simple facts, Malone clearly was one of the best players to play, and it’s almost as if it took the examination of his career brought on by his death to remind us of that, in addition to some of his pioneering roles. The numbers lead to the reminder that Malone came to the pros straight out of high school; he was 19 years old when he joined the Utah Stars of the ABA. Malone was a pioneer, something that’s easily lost to later generations that think of Kevin Garnett as the first preps-to-pros star. Another way Malone was ahead of his time: wearing Nike shoes. 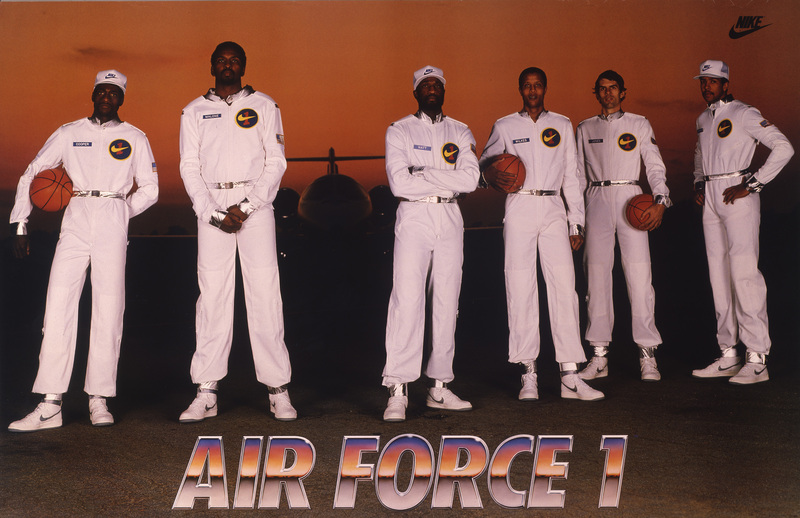 The reason there weren’t more Hall of Fame players in the original Air Force 1 poster is that in 1982, all of the biggest names — Magic Johnson, Larry Bird, Dr. J — wore Converse. Even Michael Jordan was wearing Converse back then while playing at North Carolina. Jordan signed with the swoosh upon entering the NBA in 1984 and forever changed the shoe game. But Moses was there first. The radio guy was right, of course. Malone arrived in Philadelphia, and in his first season he took the chronically great-but-not-great-enough 76ers from 58 wins to 65 wins and a dominant march through the playoffs, capped by Malone’s 26 points and 18 rebounds per game in the Finals. just give good players to dragic, a good system (lol phoenix), and you won. 85M not too much in my opiinion, a lot of fake hype boys got more and nobody said S.
Why in the (world) would you want a metta world peace that couldn’t even get on the court with the historically bad NY knicks (sorry stephen a.) last year? This guy is a ticking time bomb and I wouldn’t want him anywhere near Julius Randle if I’m Byron scott and the Lakers…this would be an extremely desperate and futile move by the Lakers…how the mighty have fallen!!!!!!!! I concur. Metta World Peace is crazy and there is a basketball reason why he has been playing overseas. All those basketball reasons still remain. moses malone was a straight up beast and definitely the most underrated big man of all time. When the so called experts bring up a list of the greatest centers to ever play his name is hardly mentioned. Give the man the props he deserves and may he rest in peace!! !